It’s been a lengthy 10 year wait for the follow up to their last full length ‘Illusions Play’, however good things come to those who wait and ‘Monotony Fields’ is their outright masterpiece. Looking for a light hearted listen? 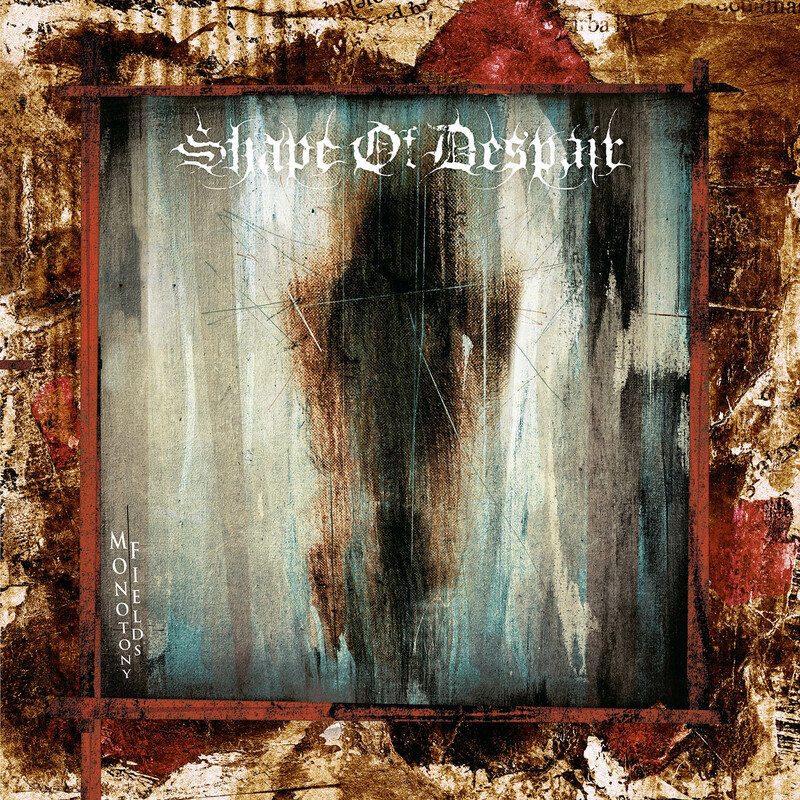 Then Shape of Despair (hailing from Finland) probably isn’t for you. However, if like me you yearn for the forlornness of funeral doom, ‘Monotony Fields’ sates that hankering. Within a genre that can often be rather one dimensional, Shape of Despair have created an album that captures the right amount of diversity whist remaining committed to the melancholic dirge ridden darkness that funeral doom encapsulates. Comparable to well established funeral doom bands such as Skepticism and Colosseum, whilst also incorporating aspects of The Ruins and Beverast and even Anathema. There are various elements that make ‘Monotony Fields’ the monolithic album it is, the ambient synth that welcomes in the first track Reaching the Innermost adds luscious texture as well as mystery and curiosity, before the crushing guitar parts and slow clatter of drums interrupt the tranquillity. Henri Koivula (Throes of Dawn) executes a perfect low pitched rumbling growl, but it’s the angelic vocal harmonies of Natalie Koskinen that raises this album to its peak of greatness. Referencing Anathema may seem a bit odd in relation to a funeral doom album; however the choral harmonies are very much akin to modern day Anathema. The highlight of this album without a doubt is the clean vocal segment in Descending Inner Night. Drenched in emotion, sorrow and general gloom, juxtaposed with the uplifting clean vocal parts, it’s emotionally turbulent yet magnificently elevating. One of the best funeral doom songs since Colosseum’s Dilapidation and Death. The Distant Dream of Life kicks in with stompy aggression, while In Longing majestically soars with stunning chorals and synth accompaniment. ‘Monotony Fields’ is a long album clocking in around 75 minutes, yet the listen is not at all arduous but mesmerising and cathartic. It’s actually probably one of the more easy going funeral doom albums, the production is clear and while each song outlines the antithesis of dark sorrowful elements alongside uplifting emotion, it doesn’t feel at all repetitious. It’s been a lengthy 10 year wait for the follow up to their last full length ‘Illusions Play’, however good things come to those who wait and ‘Monotony Fields’ is their outright masterpiece.